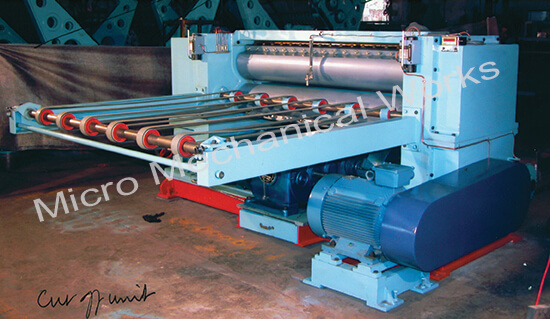 PIV gear box is provided to adjust the cutting length. Max. cutting length 2500 mm. Min. cutting length 600 mm. Electronic counter to count the cut sheets.